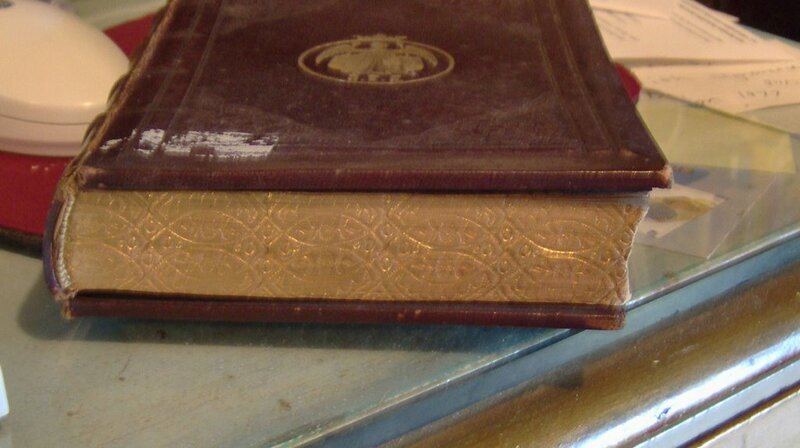 the page edges have been trimmed smooth and gilt, or gold, has been applied. This image image is a little special, these gilt edges have also been tooled, which i think is REALLY cool. sorry about the image clarity, I was in an unheated barn with bad light and running out of batteries. but if you click on them, they should enlarge.